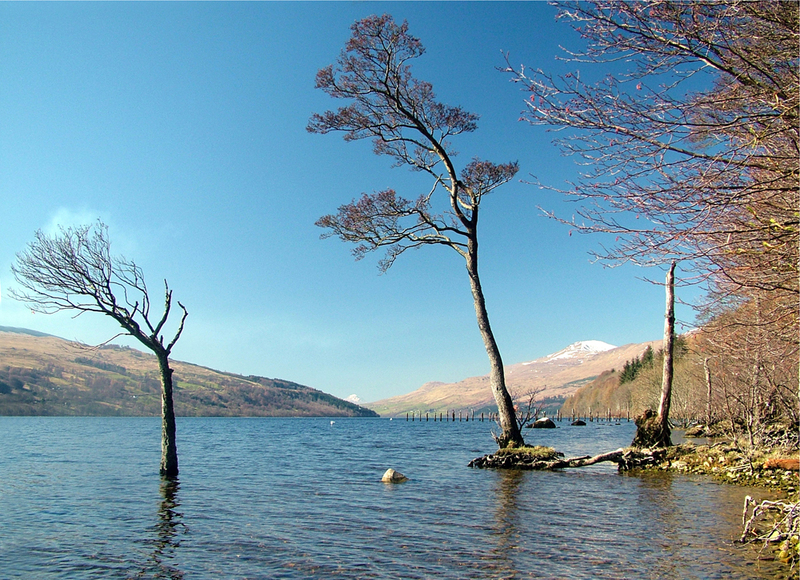 Loch Tay in Perthshire is 15 miles in length with an average width of about 0.9 miles. It is slightly 'S' shaped and lies between the villages of: Killin on the West, Kenmore on the east, Lawers to the north and Ardeonaig to the south. Crannogs were very common on Loch Tay. Crannogs are dwellings built out on the water, usually on stilts. There is a visitor centre just outside Kenmore with a recreation of a Crannog.